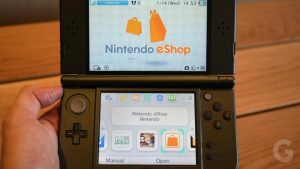 A year on after the release of the original DS, Nintendo 3DS is finally delivering on its promise of succeeding on the original Nintendo DS’s high-profile legacy. The New Nintendo 3DS XL certainly have certain features which don’t exist on earlier models of the handheld. It is without the best version of the 3DS ever. It is the most feature-rich, comfortable and cleverly thought out Nintendo handheld since the DS Lite. You can find out more about the New 3DS XL’s design, features, specifications, controller, performance, price range and more in the New Nintendo 3DS XL Review and Specifications. It has vastly improved 3D effects. It has Dual analog controls. It has more processing power. It has an existing 3DS catalog enhanced by new improvements. It requires extra tools to swap storage cards. Its battery life hasn’t tangibly improved. Its screen's resolution hasn't improved. The New Nintendo 3DS XL is certainly the best DS model handheld the company has launched in recent times. It has a fantastic 3D screen that actually works in 3D, a processor that’s better equipped for handling more advanced 3D games, and a built-in secondary analog pad that with some minor reservations renders the old Circle Pad Pro accessory unnecessary. It has the face-scanning tech that knows where your face is and adjusts the 3D display on the fly. The result leaves you with significantly improved range of movement, even with the 3D effects set to max. Games that use the built-in motion sensors are legitimately playable in 3D, and the feature also works great in moving vehicles, such as subways and buses. The New Nintendo 3DS XL Design is pretty similar to that of the old Nintendo 3DS XL in terms of weight and proportions. 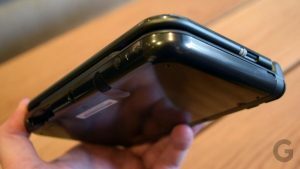 It’s a few millimeters wider and thicker and has a flatter top, while the weight has crept up by around 6g. The size and resolution of the screen also remain same with a 4.18-inch, 320 x 240 resistive touchscreen at the bottom and a 4.88-inch, 800 x 240 screen at the top. This is the crispest, brightest and most vibrant display you will find on a 3DS, and certainly, the one on which 3D is most effective. It uses data from the front-facing camera to track your head, continually adjusting the inner workings to ensure you don’t get ghosting or double-vision, but do get a convincing 3D view. 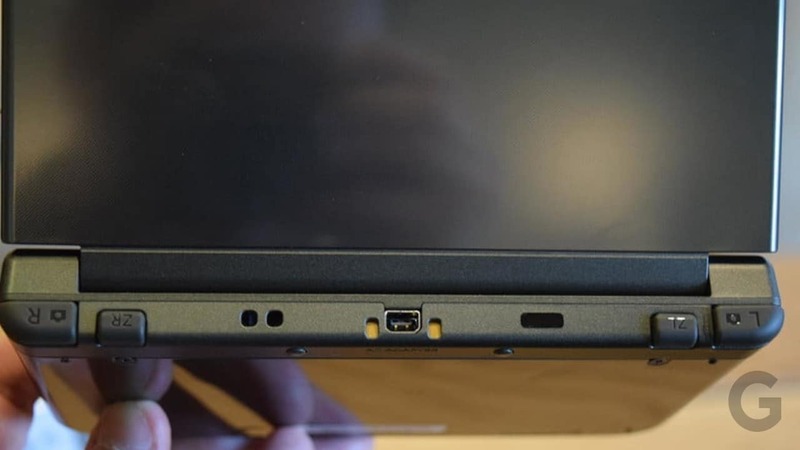 The cartridge slot has moved to the front, near the left-hand corner, while the headphone socket now sits at the center. 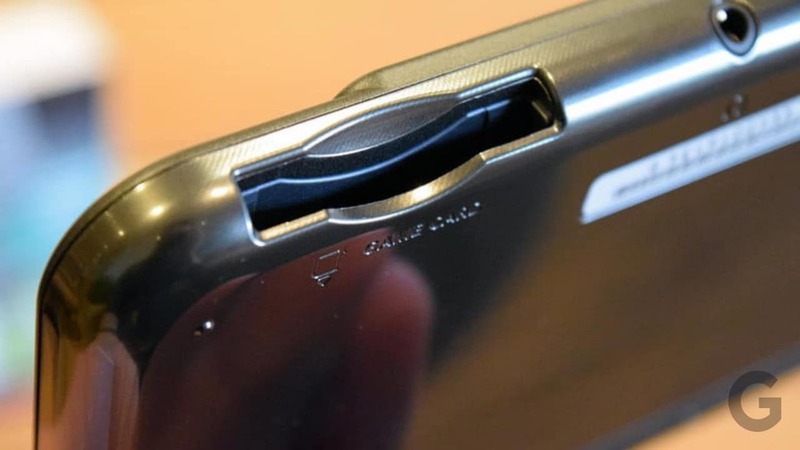 The stylus slides into a slot to its right, while a new power button has been crammed in where you’ll tend not to spot it, right near the front right corner. The back houses the charger socket, which works with existing 3DS chargers, and there are some new ZL and ZR buttons in between the old L and R buttons at the rear. With these, along with the two analog pads, the digital D-pad, and the Start, Select, X, A, B and Y buttons are now color-coded. The 3DS XL can now match the controls of the old GameCube. 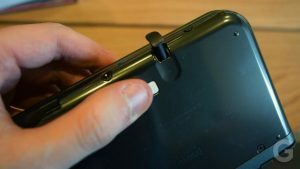 The New Nintendo 3DS XL also adds a second control stick-like interface on the right side of the unit, eliminating the need to own a Circle Pad Pro. It’s not a traditional stick, falling closer to the hard, rubber nubs that ’90s laptops tended to use for integrated mice. 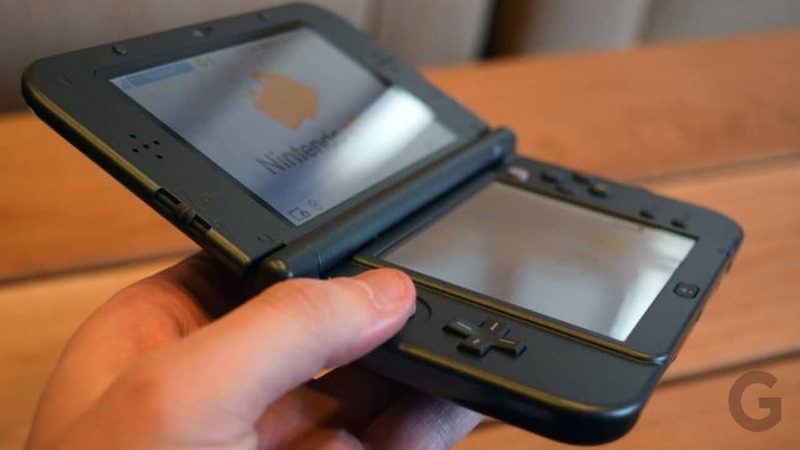 The most useful change to the New Nintendo 3DS XL is the new analog stick or nub. Rather than a smaller replica of the left-hand nub, it’s a tight, unmoving rubber protrusion just above the X button. The New Nintendo 3DS XL supports NFC compatibility with the company’s new Amiibo figurines. The console itself can be personalized with snap-on covers if making things look prettier is your thing. The device comes with 1GB internal flash storage but also accepts MicroSD cards. While the upgrade is to be expected, it does mean you won’t be able to use your standard SD cards from previous 3DS models. Nintendo has been very vague about the improved internals in the latest handheld, but the increased horsepower speeds up elements such as the dashboard and load times. Last among the New Nintendo 3DS XL features is near-field communication (NFC) technology. This allows the New 3DS XL to real information wirelessly from Nintendo’s Amiibo figurines. 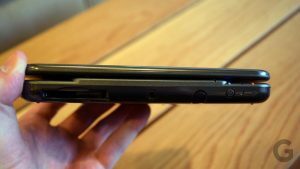 The faster CPU is currently lacking software that can demonstrate any noticeable benefits: the New 3DS XL is backward compatible of course, but at the time of publishing there is no software exclusive to it, compounding the general feeling that the product as a whole is a bit unnecessary at this point in the 3DS’s life cycle. Another limitation of the new 3DS XL is that it doesn’t come with a charger. The New 3DS XL has a new processor which makes the games run smoothly at a consistent frame rate contrary to that of the old model. Its support for NFC and Nintendo’s Amiibo figures could be telling, though at the moment there’s not enough software to make it feel worthwhile. Nintendo claims that the cameras on the New 3DS XL work better in low light – handy on a device that’s used mostly indoors – and there seems to be some truth to this. There’s less noise and images are that little bit clearer. All the same, with 0.3-megapixel sensors the quality still isn’t up to much. Although you may get better results with the 3DS XL camera quality being automated Mii Maker or take slightly better looking 3D snaps, the results will still be far behind even the most basic smartphone camera. The battery life is one of the disappointing things in the New Nintendo 3DS XL Performance. Nintendo claims the New 3DS XL lasts for between 3.5 and 7 hours while playing 3DS games. However, the red warning light flashing at around four to five hours, much sooner than what the company claims. Also missing is a proper secondary analog stick and a boost in screen resolution, accompanied by some kind of upscaling from the processor. All the same, neither absence comes as a major disappointment as the battery life. The New Nintendo 3DS XL is priced at $200. We can say that it is rightly priced because its sporting features and specifications haven’t existed on earlier models of the handheld. Out of the DS models, the New 3DS XL is the best among all. If you consider the New Nintendo 3DS XL Price then you can clarify why it is $50 highly priced to the New Nintendo 2DS XL. However, if you wish to change the entire console and go for a more powerful one then you can for the Nintendo Switch. If you wish to get other accessories then you can even go for the Nintendo 3DS XL bundle deals. 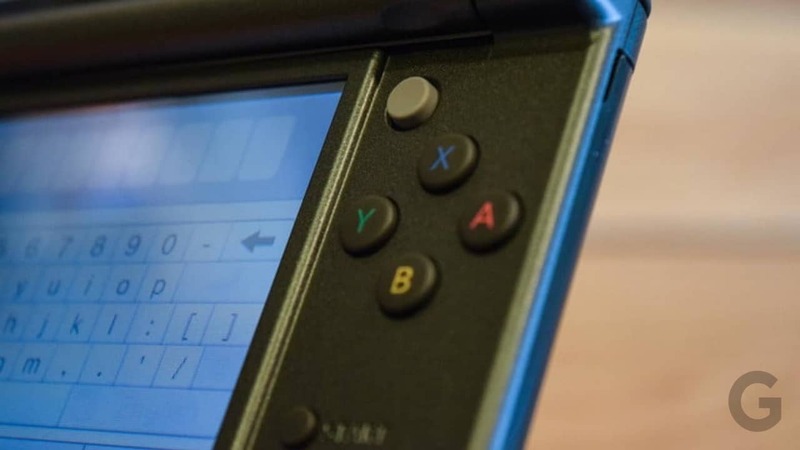 🏆 If you have used or if you are using this gaming console, please leave your New Nintendo 3DS XL review in the comments below and help our readers choose.